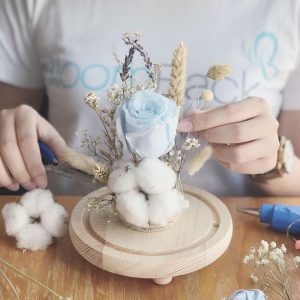 How your company can get involved in the floral movement? If the extent of your contact with flowers are the few potted plants around the office, listen up. Flowers can transform your workplace. They’re scientifically proven to make people happier, kinder, and more creative and productive at work. There’s also research suggesting that flowers help foster better relationships, which facilitates bonding amongst colleagues. The benefits to your team (including your male colleagues) are enormous! 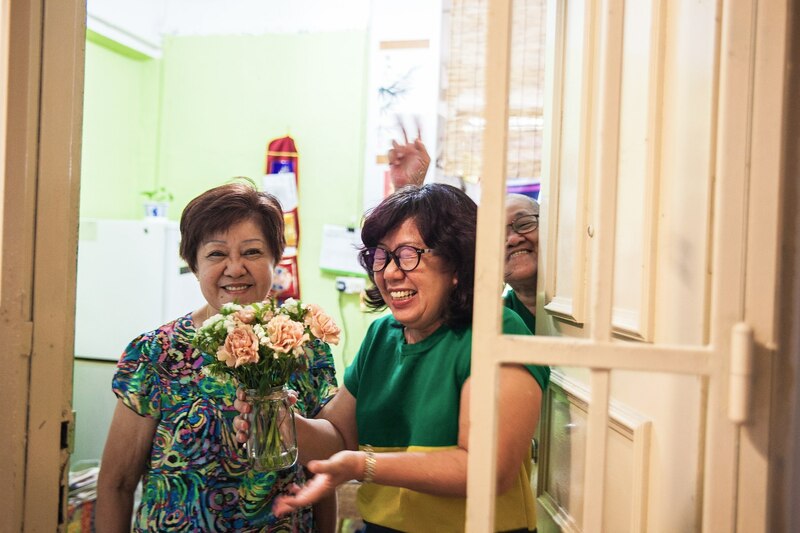 But you can also harness the power of flowers as a vehicle of empowerment and human connection, to help the underserved members in our community. For example, we hire underprivileged women and provide training for them to create floral arrangements. We also regularly distribute repurposed bouquets – flowers that are donated to us from weddings and events – to patients in hospitals and hospices to spread joy through the simple act of giving. We team up with corporates on corporate social responsibility (CSR) activities or team-bonding workshops in Singapore. For example, Parkway Cancer Centre (PCC) launched a multi-faceted campaign to reach different groups of people with beautiful blooms. Angeline, assistant manager, marketing, at PCC explains: “Using pink flowers as a token of gift, as well as a symbol of pink, we distributed stalks of flowers, and BloomBack’s preserved flower keychains to our cancer patients, the general public, media partners as well as social influencers. There was a tag along card which shows how to perform a breast self examination, raising awareness for early detection of breast cancer. 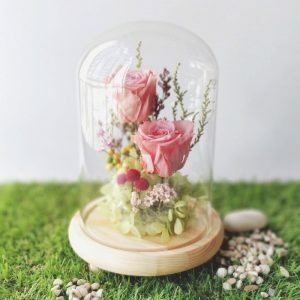 Book an evening with us to learn the basics of putting together a floral arrangement bell jar using dried and preserved flowers. The class is taught by our talented beneficiaries like Faith, who is a trainer with hearing and sight impairment). Materials and tools are fully provided so all you have to do is show up. 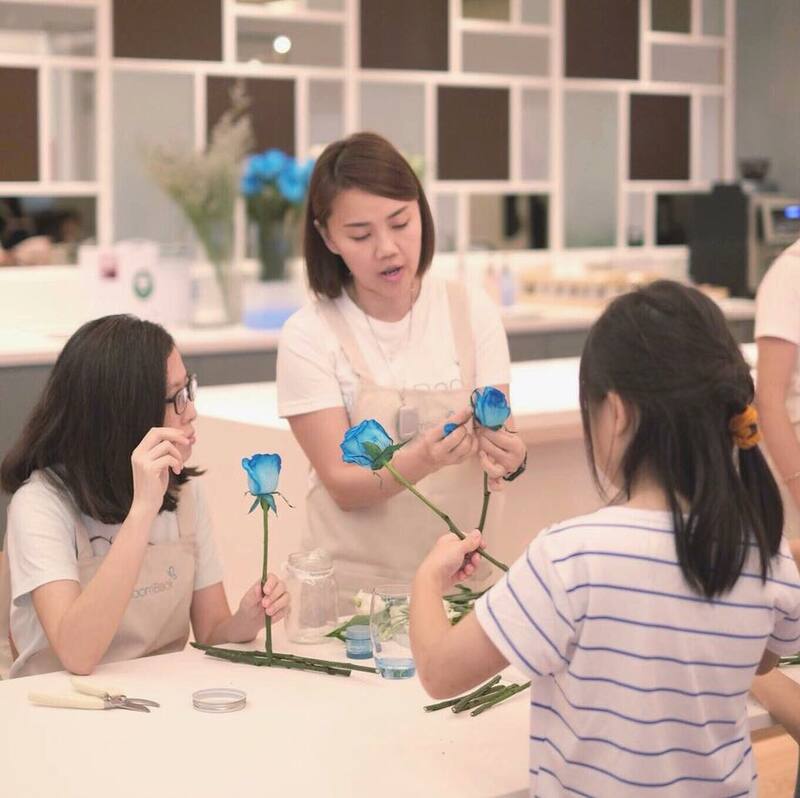 Not only will your team get a fascinating education on preserved flowers and flower arranging, you’ll also be helping our beneficiary instructors to hone their skills and gain self-confidence. Plus, proceeds from the workshop go directly towards supporting their careers. Spend a day with us sorting and distributing donated flowers to the sick and elderly at hospices. 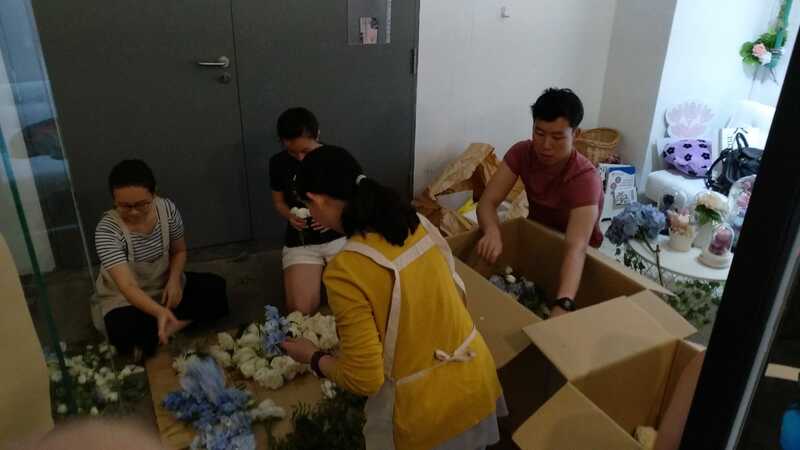 For a small fee, we’ll coordinate with the partner centre, procure the flowers and handle the logistics to ensure that you and your team have an impactful and memorable experience. You and your team can be the first in the world to discover the joys of floral yoga. Our friend and yoga instructor Ariel Yeo has created some elegant moves to incorporate flowers into the flow of your practice. By moving stalks of flowers in the physical space around you, you allow theirs restorative and healing powers to take effect. And at the end of the session, you’ll have a stunning floral arrangement to show for it. 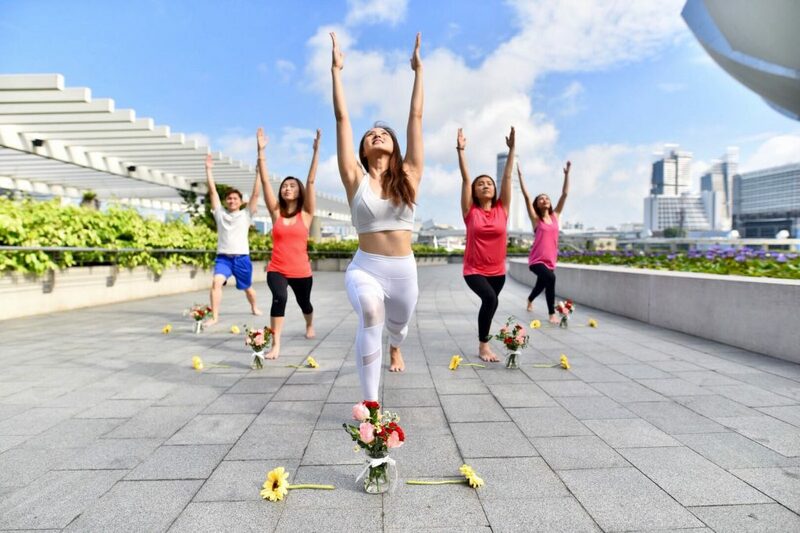 Ariel conducts corporate floral yoga events to promote awareness about the healing benefits of flowers. The yoga event promises to help your team members reduce stress and boost wellness, and they’ll be doing good at the same time. 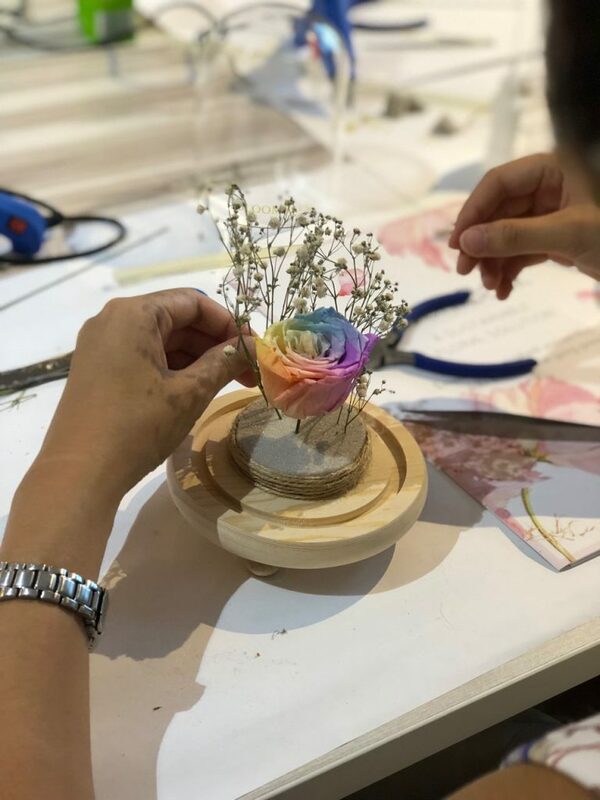 Flowers made in the session can be brought home or donated to our beneficiaries, and proceeds go to the training and hiring of underprivileged women. We’d love to hear how else you’d like to partner with us. For Angeline, the idea started simply with the colour pink. “I was thinking of the pink ribbon that symbolises breast cancer awareness,” she explains. And it evolved into giving pink flowers to patients and the community and the project took shape from there. This innovative and creative approach to CSR that won PCC both “Best CSR Project” and “Best Marketing Campaign” at the Healthcare Asia Awards in 2017. “Looking back, it was really quite a feat to be able to pull through the campaign with about a month planning! We’re truly thankful to the efficiency of Hazel and her team to ensure the smooth execution of my campaign,” says Angeline. If your company is looking for a similarly meaningful experience, the BloomBack team is at your service.